Writer Jodie Ashdown went along to Chapter’s First Thursday to see what goes down there. Now in its eighth year, First Thursday is a chance for aspiring and professional writers to share their work, as well as listen to readings by published authors and poets. In association with Seren Books, Literature Wales and Inpress books, the monthly event is fronted by Amy Wack who has been in the publishing industry for many years but is now Poetry Editor at Seren. The evening starts off with an introduction, and perhaps short reading, by Amy and then moves onto a few guest speakers who will read extracts from their novel or poetry book. Now you don’t have to be a literary aficionado to appreciate their work, the authors and poets are engaging and explain their drive or message behind a particular story or poem. The styles and themes are varied and interesting and it’s definitely not pretentious or stuck-up – sometimes the swear-iest poems are the best! 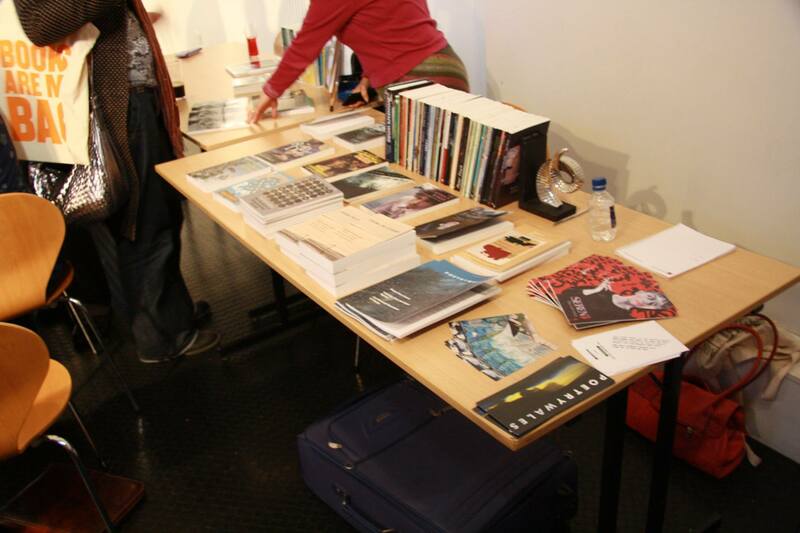 And if you enjoyed a particular writer’s work, their books (among others) are on sale at the event; an easy way to support publishers and independent bookshops over the big online companies – you know who I mean. Next comes the open mic session, cause of my sweaty palms and thudding heart (and the reason why the photos are so appallingly blurry). I don’t know why it is so nerve wracking, everyone is super appreciative to hear each other’s work, but it still makes me very, very nervous. There’s something about standing in the spotlight and trying to stop your paper from shaking as you try not to mumble as you read your work, that is both terrifying and exhilarating. But you’re always glad you’ve done it afterwards, even more so when someone you don’t know approaches you afterwards to say they enjoyed your reading but you ran off stage like ‘you’d done something wrong’. The standard is usually pretty high but complete amateurs are welcomed alongside the poetry stalwarts, and everyone is encouraged. You don’t have to read if you don’t want to, some people like to just go along and listen and that’s ok too. It’s a creative and accessible environment and a chance to get out there and listen to interesting and often evocative writing. 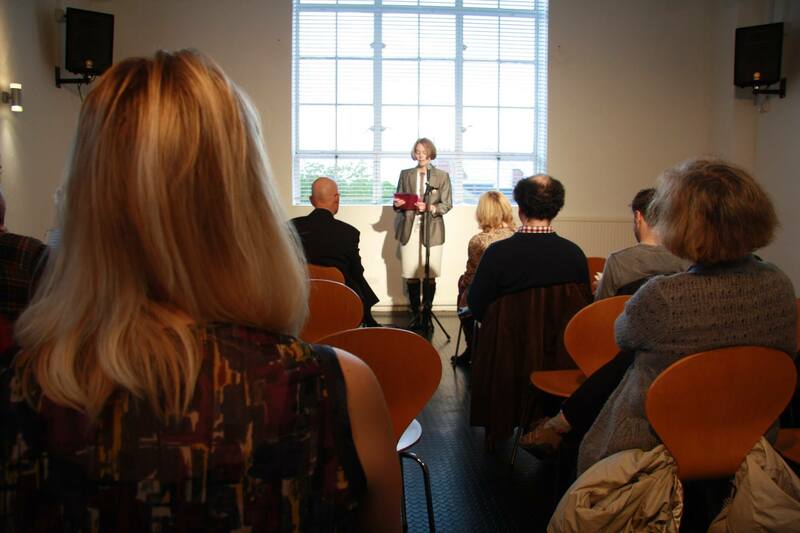 Even if you’re only a little bit interested in contemporary poetry and fiction, I’d advise going along to try it out – you never know how it could inspire you. First Thursday is on (shockingly) the first Thursday of each month (the event is not on during July and August).